Hey there and welcome to Guitar Tricks. 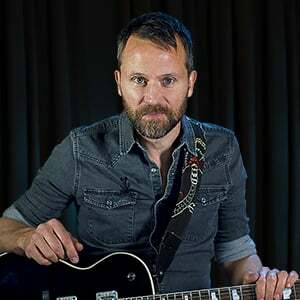 My name is Anders and today I'll be teaching you the classic Southern Rock anthem Sweet Home Alabama- in a version that has been made easy, so you can hang at almost any level. This is a really fun song that almost everyone knows, and it features just three basic chords repeating throughout the whole song, so if you can learn and perform even the simplest version of it, it is bound to pay off. If you want to learn the full, authentic version with all the solos and cool little details we have that version on our site as well. This song is in the key G and the quarter note equals 98 BPM.